Not sure what to do... It all went perfectly for me. I guess it could have to do with the differences in our systems before the in-place upgrade, since some of the settings are actually retained. Probably so since I ran these a few days apart it was activation. now neither of my Vms work even with clone. Strange that not activated would cause something like that. At the moment my test VM says "Connect to the Internet to activate Windows". I have no real need to allow it to do so just to test this upgrade stuff. SCHTASKS /CHANGE /DISABLE /TN "\Microsoft\Windows\SettingSync\BackgroundUploadTask"
SCHTASKS /DELETE /F /TN "\Microsoft\Windows\SettingSync\BackgroundUploadTask"
Is this the next iteration of the script that you posted in this thread? Yes, with lots more stuff being tweaked. It's not organized very well yet. Okay. Why do you have the Windows Firewall service disabled by default though? Doesn't that render your deny-by-default firewall strategy moot because you'll have no firewall then? Sorry, that does need some explanation. I bought a 3rd party firewall product called Sphinx Windows 10 Firewall Control that allows much better management (not to mention isn't subject to secret Microsoft under-the-table rules). Note that the Windows Update process actually requires the Windows Firewall service to be running or it won't update anything. I think of that not as a limitation, but a feature. If I have both wuauserv and MpsSvc disabled, it seems quite unlikely Microsoft is going to find a way to push Win 10 through the door on my Win 7 and 8.1 systems, nor push anything through the Win 10 door until I'm good and ready to receive it. The script is a work in progress, primarily designed for me to return my Windows 10 systems to my preferred configuration, which may not be useful for everyone or anyone else as is. But the structure's there; you can edit the script to your own needs. Your goals are the same as my mine. 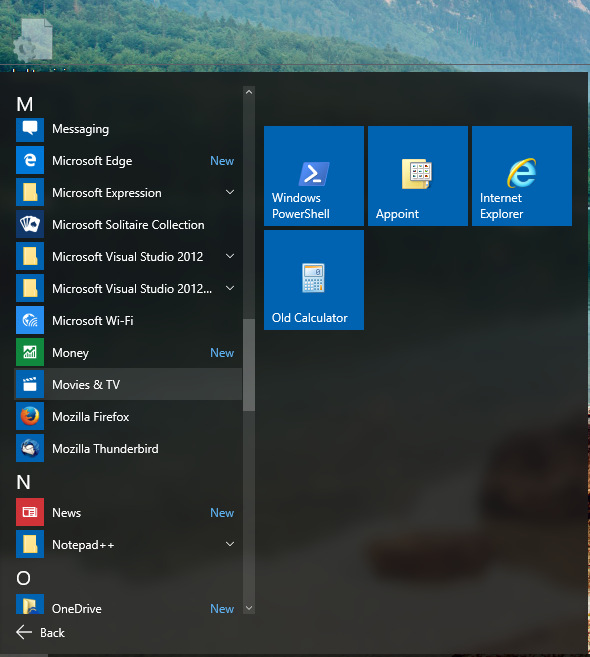 A desktop only, local account, UWA free Windows 10 with UAC disabled. The reason I was wondering why you disabled Windows Firewall was also because I thought that Sphinx was another front-end for Windows Firewall like TinyWall or Windows Firewall Control and not completely independent firewall software so that's my mistake. Sphinx uses the Base Filtering Engine (Windows Filtering Platform) so the rules-management service doesn't need to run. Yes, that's a bit confusing and it took me a while after installing Sphinx WxFC to realize that BOTH services were controlling the Base Filtering Engine (and thus still allowing things through that shouldn't have been). Don't understand what was happening unless it was trying to update itself. I even put on my Seven OEM and it wouldn't activate in VM. Was gonna try using it to clean upgrade VM and move forward with that. Okay. Why do you have the Windows Firewall service disabled by default though? In the next rendition I think I'll make disabling the Windows Firewall service a separate item. Upgraded from 14257 to 14267 on my actual system not VM choosing to keep apps and settings this time. Surprised but a lot of settings did copy over and all my programs so far are OK. I Ran Retweaker 1.5 script and chose to remove everything but 1 thing. I use Visual Studio is it OK to remove it? As long as you don't develop Apps yourself, I'm pretty sure that Microsoft Location Simulator Sensor Driver is useless. I can only guess that there are processes in place to restore the Apps back to the system as quickly as they are removed, and I haven't done enough to thwart that process. Thus the speed of execution is probably a factor; I have SSD storage (even my VMs run from an array of SSDs), so disk-based operations complete very quickly. Perhaps if they were to take longer I'd see the situation here where the Apps just come back as well. Since quite a few services and scheduled tasks are disabled, maybe the App removal would stick if you run the script a second time? Have you tried it? @NoelC: Would you please consider opening a new thread with the same name and [Part II] appended to that name (as suggested by Dave-H on another thread) and a link to this thread on the first post? You'd then be the OP, so you would be able to mantain the 1st post always relevant and keep the latest version of your script there, too, for easier reference and downloading. If you agree to do that, then I'd lock this thread, which is already becoming quite heavy, and add to it a last post with a pointer to the new thread, so that the connection isn't lost. Waddyou say? I kind of promised the W10EpicFail site that my thread on the Re-Tweaker script would be an exclusive there. Feel free to close this thread if you like. I will consider whether to go non-exclusive. There's nothing preventing you from linking to the W10EpicFail thread that hosts the file. You have contributed a lot to MSFN, and I'm sure will continue to do so. and then we close this one... or we can keep this one going some more, without that added benefit.